1. On Tuesday, Governor Scott Walker released his biennium budget proposal and spoke about it in the Assembly chamber in the Capitol. One little noticed and not surprising item in the budget was Walker's proposal to destroy Wisconsin's Impartial Justice Law, which was signed into law in early December of 2009. It was the most far-ranging and sweeping reform enacted into law in more than 30 years since Wisconsin first enacted partial public financing in 1977 - the first state in the nation to do so. After being in effect for just 15 months, Impartial Justice is working very well - with both of the current candidates for the Wisconsin Supreme Court election on April 6th -- incumbent David Prosser and challenger Joanne Kloppenburg -- abiding by the spending limits and neither taking any contributions at all - including those that could be seen by the public as influencing the candidates and undermining public confidence in the integrity and impartiality of the Wisconsin Supreme Court. 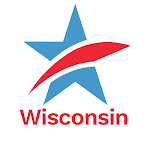 Walker's proposal cuts most of the funding for the public financing grants of $100,000 in the primary election and $300,000 in the general election to candidates who abide by spending limits of the same amount. It also cripples the funding for the matching or rescue funds for candidates who are abiding by those spending limits and are the targets of independent expenditure groups of both the left and the right. After enduring nasty, negative and demoralizing $6 million state supreme court elections in 2007 and 2008, the Impartial Justice Law was working well in this first election since its enactment. Thus far, candidate and outside spending has been significantly below previous elections, and the tone of the campaign has been much more respectful and civil -- with the candidates spending more time talking to voters all over the state face to face, rather than having their campaigns raise huge sums of cash to pour into negative ads on TV. The voters of Wisconsin have been the beneficiaries of the Impartial Justice Law, even if TV and radio stations bemoan the fact that much less money is being spent (thus far) on negative 30 and 60 second attack ads. Walker's budget strikes out the full funding of candidate grants and rescue funds for candidates who agree to abide by spending limits. It leaves in place only the current $3 check-off on the state income tax form (of which $2 goes for state supreme court candidates in the "democracy trust fund"). Without sufficient funding for extensive public education about the purpose of the check-off, public financing will be far less than what is needed to keep the Impartial Justice Law effective. Instead, Governor Walker is telling Wisconsinites that nasty, negative $10 million elections for the Wisconsin Supreme Court funded primarily by outside and out-of-state special interest groups are fine with him. Is that fine with you? If not, call your State Senators and State Representatives. 2. Earlier this week on nationally-televised CNBC, there was this exchange between Tim Phillips, the President of the Koch Brothers Industries - funded special interest group "Americans for Prosperity" in Arlington, Virginia and Jay Heck of Common Cause in Wisconsin. The Koch Brothers and their minions provided Scott Walker with over $1 million in direct and indirect campaign assistance during the 2010 campaign and have run $400,000 in TV and radio advertising thus far in pushing to ram through Walker's "budget repair" bill. The out-of-state Koch money is the single biggest driving force behind Walker's unprecedented frontal assault on so may Wisconsinites. Walker Budget Seeks to Eviscerate State Supreme Court Campaign Finance Reform LawTweet this!